The responses to her question were fairly unanimous. “I’d say it’s time to blow that popsicle stand,” one woman suggested. Most others who weighed in seemed to agree. There are many benefits to working, including feeling accomplished and self-fulfilled. Yet compensation still rules, and you’re likely to feel an acute sense of injustice if pay isn’t doled out fairly at your company. In fact, the number two issue women cite when they they report gender inequality at work is regarding unequal pay. 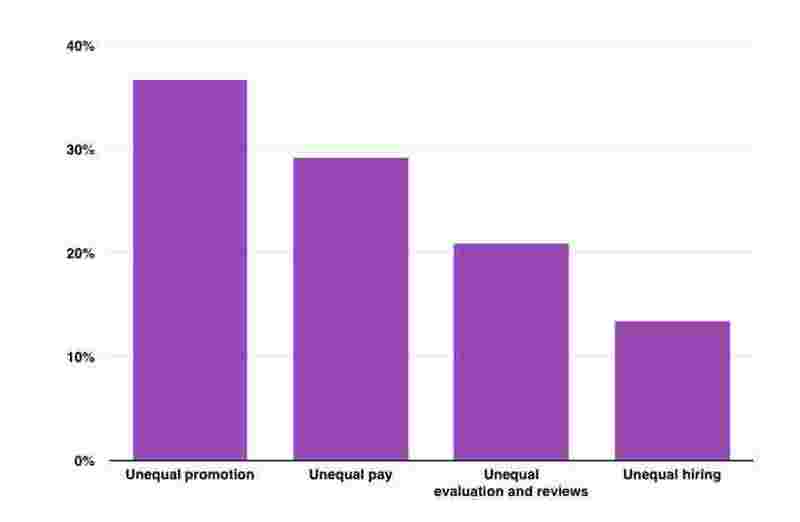 Despite the importance of pay in our professional lives, it is often still a black box. People often don’t know how much they should get paid in part because compensation is still as much art as it is science. Salary transparency has come a long way. Thanks to sites like Payscale, Salary.com and Glassdoor, you can get a sense of how much you should be paid by researching what others in your position have made at various companies. This information is so important that Fairygodboss has also crowdsourced a salary and bonus database by employer, job title and department. Some companies are extremely transparent about pay. Buffer, for example, openly publishes all employee salaries publicly, while others take a more nuanced approach. At Whole Foods, for example, employees can make an appointment with an HR manager in order to see how their compensation levels compare to others working at the company. Those of you who don’t work at an employer where compensation is transparent might be able to perform some detective work to uncover what people around you make -- and this may lead to some unpleasant discoveries. Differences you unearth may occur due to a variety of negotiation practices, hiring manager authority and the timing and health of the job market when a candidate joins a firm. For example, someone who negotiates well with a hiring manager who recruited them away from their former position during a strong hiring cycle may have landed a job at compensation levels that won’t be repeated any time soon. Because there tends to be variations in compensation for a given role at any specific company, there are typically only two ways to discover your financial worth at any moment. First, you can ask your current manager and company for more and see whether they will give you the raise you want. Second, you can apply for another job and see what your compensation offer will be. You may not be able to parlay this external job offer into more compensation at your current role, but you will at least know how much money you’re leaving on the table by staying. If you find out you are not being appropriately compensated and you can’t convince your employer to increase your salary, it’s probably time to look for a job elsewhere. While you may love what you do and generally be happy at your company, if you aren't earning your marketplace value, you're not only foregoing those earnings this year, but you’re also foregoing them for every subsequent year you stay. In other words, the opportunity cost of your remaining will only compound over time. Moreover, staying put when you know you’re being paid less than your market value sets a bad precedent for what you will accept as an employee. We spend most of our best hours at work, so it makes sense that companies and colleagues become second homes and families to us. But workplaces that don’t pay you your worth may not be a good place to live. Put it this way: Do you want to work at a company where bad decisions and unfair outcomes aren't corrected? It’s both emotionally depleting as well as a precarious basis for a long-term relationship. A version of this article was originally published on Forbes. Absolutely brilliant advice. Sometimes, you just have to walk away from toxicity.